JACKSON, Tenn. — Throughout the month of February, organizations are raising awareness for heart disease. The American Heart Association said it is the number one killer in women, killing more women than all cancers combined. The West Tennessee Women’s Center teamed up with the Tennessee Heart and Vascular Center to educate women on heart disease and have a little fun while they’re at it. “It’s to bring women together. Women spend so much time taking care of everybody else in their family, their parents, their grandparents, they take care of their kids,” said Boots and Bling coordinator Tammy Hardee. So the organization said Friday night is ladies night. Ladies wore their boots and their favorite bling. “Women tend to neglect their own health, and tonight is a time to bring women together with their friends and talk a little bit about their heart health,” Hardee said. 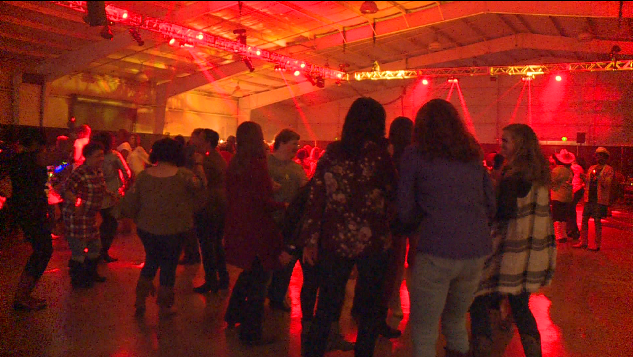 With this being the sixth year for Boots and Bling, organizers said it has gotten more popular, selling out of tickets Friday. “And we’ve grown every single year. We’re up to 650 people and we sold out in ten days this year,” Hardee said. Ladies will have access to a glow bar, food “and then spend most of the night doing a very important preventative measure, by exercising,” Hardee said. By exercise she means dancing! “Everybody will get out and dance at some point,” Hardee said.